Meet at For Goodness Sake, upstairs, every second Wednesday of the month at 6:30 p.m. Truckee residents Sharon Forsythe and Jackie Griffin are holding a space for People of Color to meet and explore what it means to be a Person of Color in the Tahoe community and the world. They are open to explore this meaning through dialogue, poetry, art, audio/video or whatever means one chooses to help get in touch with individual cultures and issues. The meeting will open with a short meditation. For more information call For Goodness Sake at 530-550-8981. Elemental Back and Body will host an acupuncture and massage happy hour Thursday, Aug. 21, 4-6 p.m. Treatments will consist of 20 minutes auricular acupuncture and/or 20 minutes massage designed specifically to boost energy, improve sleep and alleviate stress. There are no appointments necessary and will include herbal tea and aromatherapy. Offered by Kaila Cruttenden L.Ac., owner and certified massage therapist Meagan Lauter. Cost is $20. Elemental Back & Body is located at 10049 Martis Valley Road, Truckee. Call 530-582-0500. Guided book study of “Luminous Emptiness: Understanding the Tibetan Book of the Dead,” will begin Wednesdays, 9-10:30 a.m. on Sept. 3 and run through Dec. 17. Sunday, Sept. 77, noon-5 p.m. Polly Ryan, MA, MFT will give a teaching and transmission of The Great Mother Prajna Paramita Meditation Practice at For Goodness Sake in Truckee as well as the Internet. Polly is a senior student and authorized teacher of Lama Tsultrim Allione of Tara Mandala Retreat Center. Two years consistent meditation is recommended or permission from the teacher. Suggested Dana is $40 to $65, no one will be turned away due to lack of funds. Please call For Goodness Sake Truckee at 530-550-8981 to register. 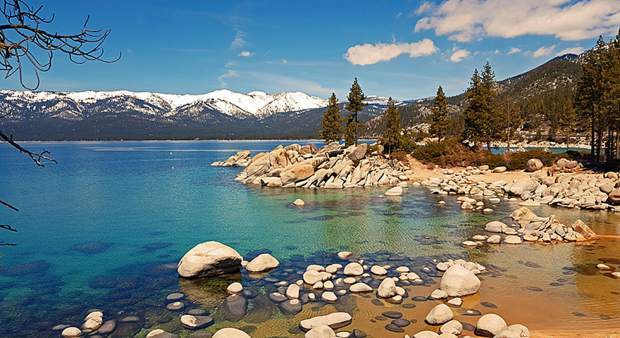 As a part of the Truckee Tahoe Peace Project’s mission to bring awareness to peace in personal lives, family, community and the world, each year, it presents the Truckee Tahoe Peace Award. Who do you feel best represents the spirit of peace in the community through their thoughts and actions? 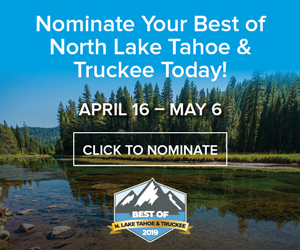 Nominate them for the Truckee Tahoe Peace Award by Sept. 8. 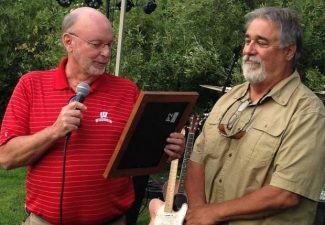 The winner will be presented with the Award at the Truckee Tahoe Peace Day Celebration at the Truckee Community Art Center on Sept. 20 and will be notified ahead of time. Visit http://truckeetahoepeaceproject.org/Events/award.shtml for more information and/or to nominate someone. Now enrolling. Loving Solutions is an award winning eight-week program offering parents a concrete framework for working with children pre-school age to 12 years old. Facilitators provide support and step-by-step instruction on how to handle highly emotional and/or impulsive younger children. Parent Project offers parents straightforward, step-by-step solutions for their teens 13 to 18+ years old over a series of eight-week class sessions. The practical, supportive class helps with children experiencing failing grades, school suspension, oppositional behavior, drug use and other challenging behaviors. For answers to your questions and to enroll in the upcoming Parent Project or Loving Solutions session call Ana Liz Servin-Bancroft, North Tahoe Family Resource Center program manager at 530-546-0952. A challenging and fun morning of rock climbing with North American Ski Training Center (NASTC) Aug. 23. All levels welcome, from first-timers to experienced climbers. All equipment provided. A minimum of five people are required to hold the clinic; 15 person maximum. This event takes place from 9 a.m. to 12:30 p.m. for $40 per person. For more information or to sign up call 530-587-9413.